The tool GPUSpeed may reduce the AVI-creation time to less than a quarter, compared to customary creation. 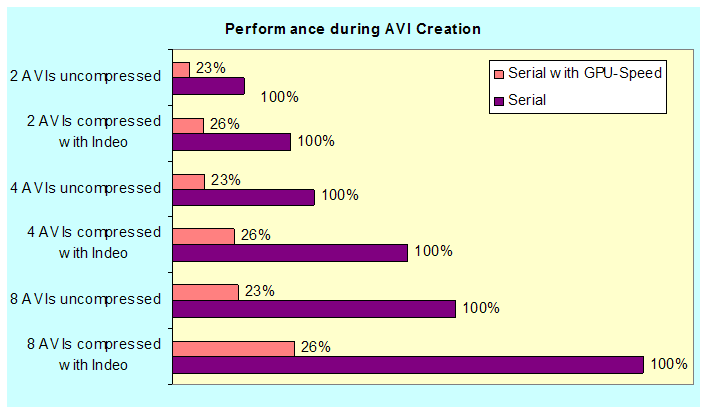 Thereby serial as well as parallel processing of AVI-creation is supported in FalCon ImagerControl. GPUSpeed is applicable as add-on to all etra modules.